January is a dismal month. With the recent storms, it’s becoming almost impossible to step outside the door without either being drenched, swept away or frozen to death. 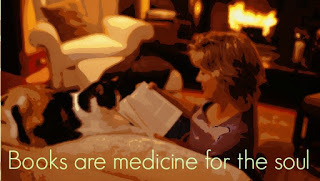 It’s a much more sensible idea to batten down the hatches, stay home, stay well, and read a book. As far back as Plato, storytelling has been a powerful way in which to mould the human mind. Think moral tales - told for the purpose of conditioning little brains, to warn us of the perils in life, the piggy house made from straw or the wolf hiding in grandma's bed. If a story can influence a mind, create a set of moral rules for life, a list of rights and wrong, do's and don'ts. Can a story also take a mind that is broken or damaged and re-wire the brain, rewrite life and fix or heal something that was broken or at least provide understanding and relief? This then is the one of the premises behind bibliotherapy, the therapeutic use of literature to help an individual understand and cope with an illness, or another problem. 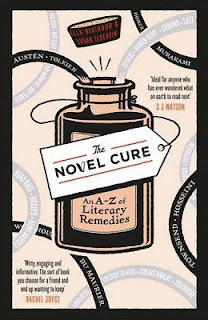 This is not a new idea, bibliotherapy was first used in 1916 by Rev. Samuel McChord Crothers in Atlantic Monthly where he talked about a bibliotherapeutic process, literature, both fiction and non-fiction was prescribed as medicine for a variety of ailments. 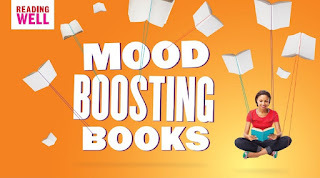 There are also Creative bibliotherapy schemes, the library based model, whereby readers self-refer or are referred by health workers to library based bibliotherapists, usually on a 1:1 basis. And the Reading Group model usually linked to the library though not exclusively, like The Reader Organisation who use novels, short stories as well as poetry as their tools for expression. And there is Poetry Therapy. The focus being on poetry for healing as self-expression and growth of the individual rather than on poetry as art. 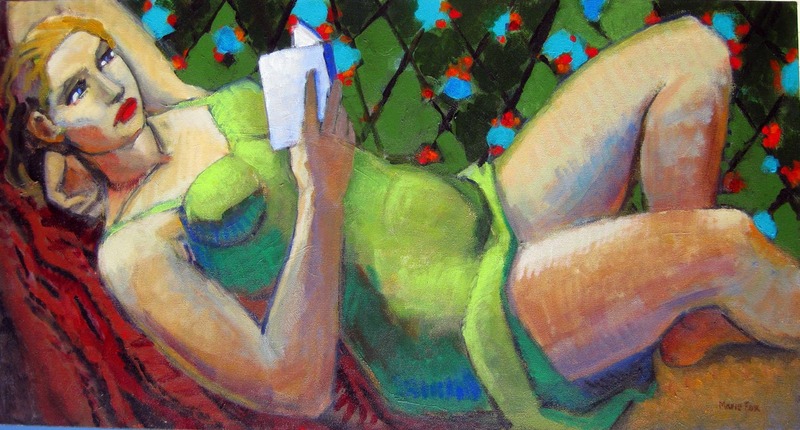 Read at the right moment in your life and a novel can—quite literally—change it, save it, and most definitely improve it. Recent neurological studies show that readers of fiction quite literally become the characters they are reading about. (I have always known this.) And this enables a more empathic connection with others. The Yellow Wallpaper, first published in 1892 in the New England Magazine, explores what happens when a young woman is not allowed to read or write. 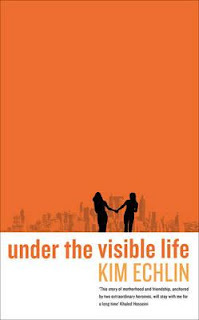 The story is a first-person account of a young mother’s mental deterioration and is based on Gilman’s own experiences of postnatal depression. The unnamed protagonist of the story is advised to abstain from any and all physical activity and not to use her imagination. The woman’s husband takes her to a country house where she is kept in a former nursery decorated with yellow wallpaper. After reading The Yellow Wallpaper, you might just need a lift. 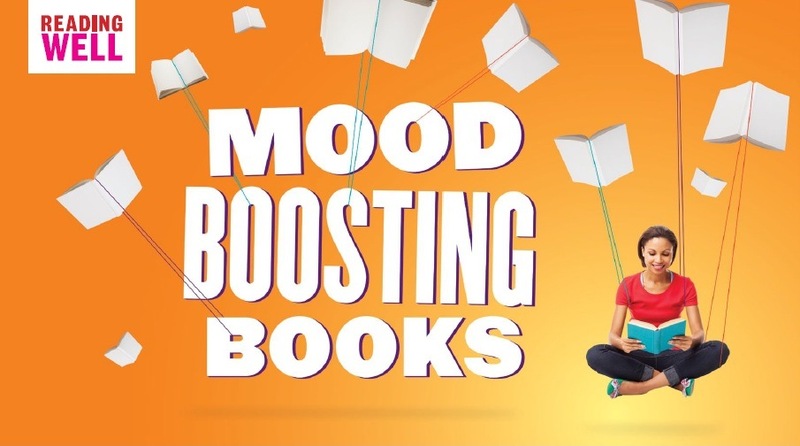 The Reading Agency’s Mind Boosting Books scheme is a national promotion of uplifting titles, including novels, poetry and non-fiction. 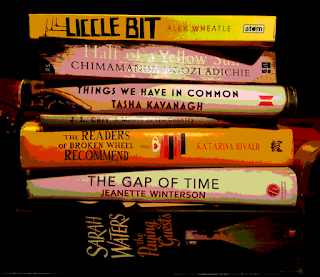 The books are recommended by readers and reading groups around the country. Classics such as The Enchanted April by Elizabeth von Arnim; A Month in the Country by J.L. Carr; Too Much Happiness by Alice Munro; and The Unlikely Pilgrimage of Harold Fry by Rachel Joyce are just four of twenty titles listed. We wore that jacket, that book cover for a while, it went everywhere with us, on bus and train journeys, to the doctor's surgery, and back home. One day we came to the last page and in many instances there was joy, sometimes sadness and yearning for more. The story had reached its final destination, it was time to say farewell, to close the chapter and with a deep sigh, caress the book and place it back on its shelf or return to the library or friend. 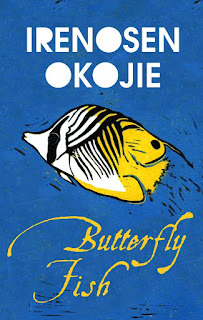 I first heard an extract from Butterfly Fish at last year's Finchley Literary Festival. I knew immediately that Irenosen had the gift for storytelling. It's been on my #TBR list since then. 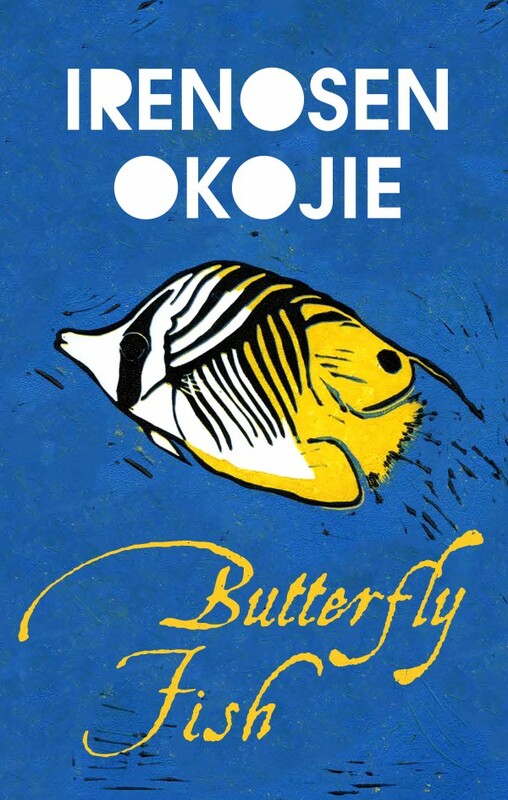 The narrative travels back and forth from 21st century London to the 19th century kingdom of Benin with a splash of magical realism. As photographer Joy, now an orphan, tries to make sense of her dead mother's past. A mysterious island. An abandoned orphanage. And a strange collection of very curious photographs. The title grabbed my attention some time ago, Christmas book tokens meant it crossed off my #TBB list. 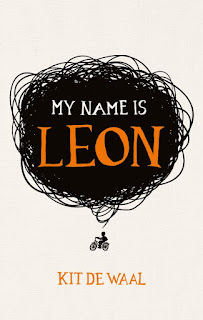 My Name is Leon, features a child in foster care. Leon is nine, and has a perfect baby brother called Jake. They have gone to live with Maureen, who has fuzzy red hair like a halo, and a belly like Father Christmas. But the adults are speaking in low voices, and wearing Pretend faces. They are threatening to give Jake to strangers. Since Jake is white and Leon is not. This book has had a huge amount of interest and it isn't even due to be published until June! I'm very lucky to have received a copy from Penguin so will get to reading that immediately. Fatherless Katherine carries the stigma of her mixed-race background through an era that is hostile to her and all she represents. It is only through music that she finds the freedom to temporarily escape and dream of a better life for herself. Orphaned Mahsa also grows up in the shadow of loss, sent to relatives in Pakistan after the death of her parents. She finds herself forced into an arranged marriage. For Mahsa, too, music becomes her solace and allows her to escape from her oppressive circumstances. 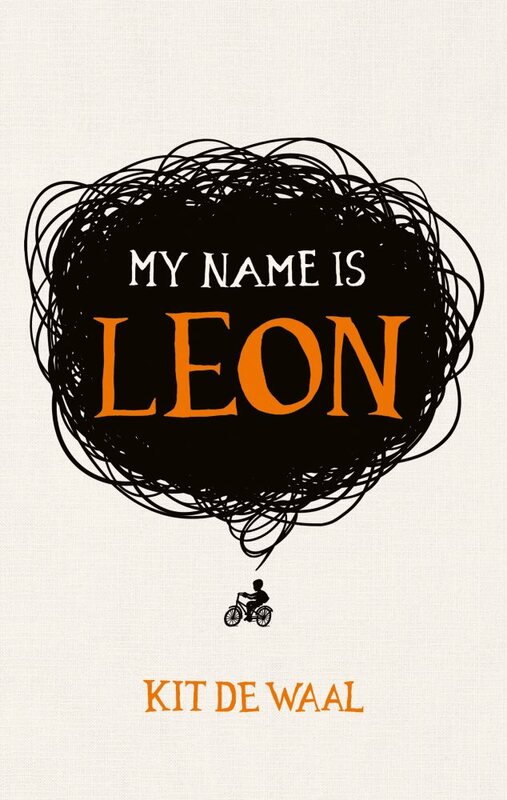 Aged thirteen, Theo Decker, son of a devoted mother and a reckless, largely absent father, survives an accident that otherwise tears his life apart. Orphaned and alone in New York, he is taken in by the family of a wealthy friend. He is tormented by an unbearable longing for his mother, and down the years clings to the thing that most reminds him of her: a small, strangely captivating painting that ultimately draws him into the criminal underworld. The story of a boy who is chronically, outrageously abused by a series of adults tasked with his care, and his struggles to forget the nightmare of his childhood. 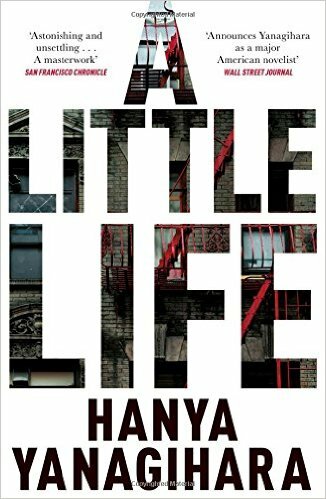 I usually steer clear of books about abuse, but as this was shortlisted for the Man Booker, and there has been a lot of discussion about it, I feel I will learn a lot from the writing. The original title in Swedish is Men who hate Women. 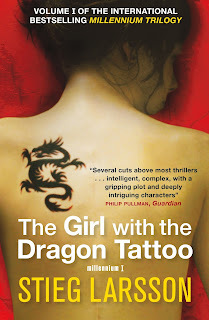 is a crime novel by the Swedish author and journalist Stieg Larsson (1954-2004) which, when published posthumously in 2005, became a best-seller. 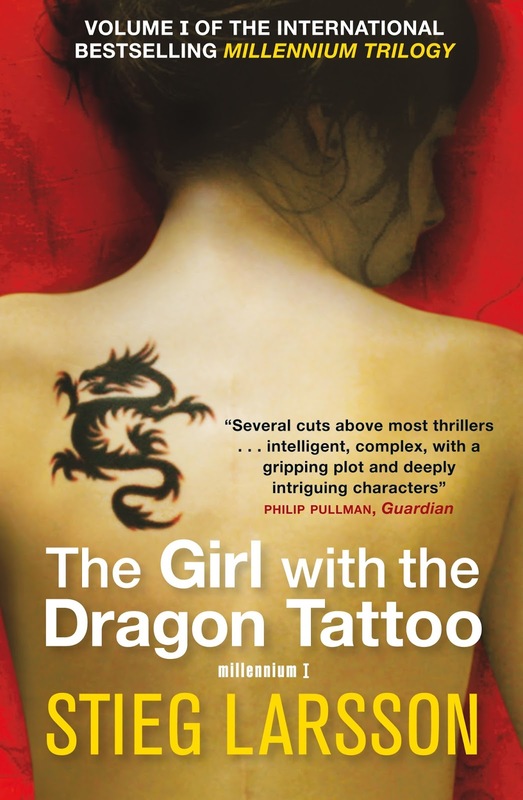 As a child, Salander was declared a danger to herself and others by the court at age thirteen, and sent for treatment at the St. Stefan's Psychiatric Clinic for Children. She was eventually allowed out she was sent to various foster homes. Larsson stated that he based the character of Lisbeth Salander on what he imagined Pippi Longstocking might have been like as an adult. I've seen the film and have been wanting to read this for some time. When I asked Twitter if anyone knew of any fiction with care leavers. 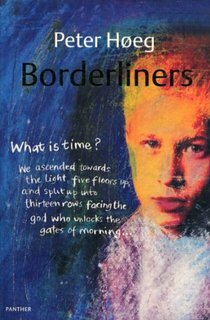 Dr Yvon Guest, recommended Borderline's by Peter Hoeg. Yvon said: It was mind blowing. And that it changes one's perception of time. 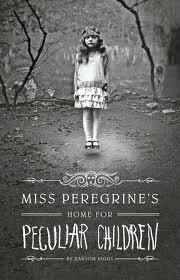 Recommended by Murni, one of the Greenacre Writers, when we were discussing orphans in literature. 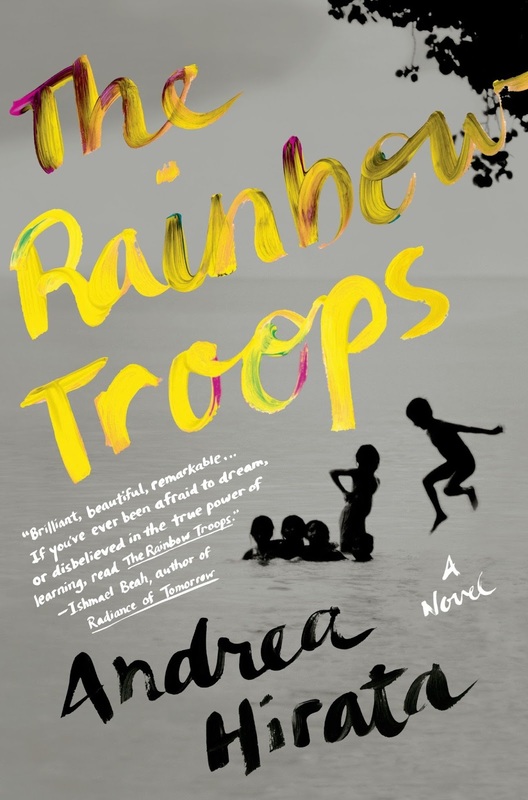 This book is partly autobiographical, and tells the story of a group of ten children, all from impoverished backgrounds who attend a small local school. Corrupt officials want to close the school down, but the children and their dedicated teacher Bu Mas who is just fifteen years old when the novel opens, triumph on. I'm looking forward to reading about Lintang, orphan and maths genius. 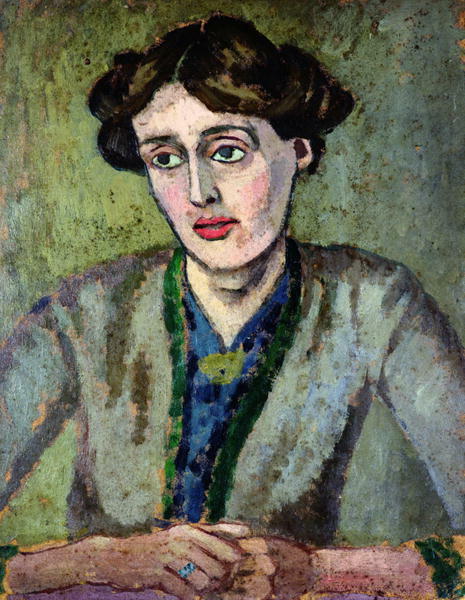 Katharine Norbury was abandoned as a baby in a Liverpool convent. 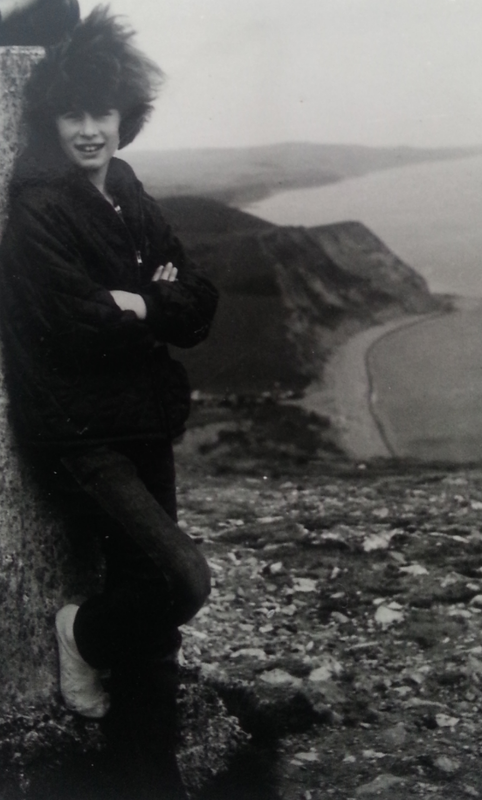 Raised by loving adoptive parents, she grew into a wanderer, drawn by the beauty of the British countryside. 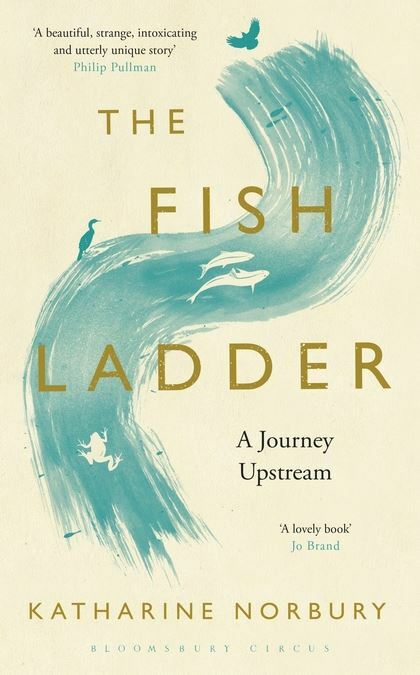 Combining travelogue, memoir, nature writing, fragments of poetry and tales from Celtic mythology, The Fish Ladder has a rare emotional resonance. A portrait of motherhood, of a literary marriage and a hymn to the adoptive family. There will be thousands of tributes to Mr Bowie. I want to add my voice because he was such a source of inspiration and support when I was growing up. Growing up in care in the 1970s, was no mean feat. As well as what goes on in a children's home, the weird relationships with staff and social workers, and the other children - all vying for the 'favourite' spot, there was also the outside world. In 1934, when Friern Barnet Urban District Council, wanted to turn a corner house in Sutton Road, Muswell Hill, into a children's home, there was a major outcry. Residents of the neighbourhood, petitioned the council urging them to 'take immediate steps to oppose the acquisition of these premises for such a purpose'. Even the local council estate residents got involved, pleased that they could join the affluents for a change, instead of fingers being pointed at them. The Minister of Health inspected the house and approved its use as a children's home and that was the end of the protestations. So you can probably understand that I most definitely felt like a freak, when I was younger. Not only felt it all around me, but I had mad bushy hair and definitely stood out in a crowd. Kids at school called me 'birds nest'. When I glimpsed a tweet yesterday, from Paris Lees*, which read: 'I don't usually cry when someone famous dies but misfits everywhere should weep out on the streets today. RIP Bowie.' I did indeed empathise with those words, having been crying most of the day myself. The only difference being that now my misfittingness is a blessing. Normality, and all that goes with it, is an anathema to me. Growing up in 1970s Muswell Hill with its own peculiar brand of North Londonish, was an amazing experience, though I didn't know it at the time. Hearing Space Oddity, when I was eleven, was like nothing I'd heard before. My musical knowledge at the time consisted of hits on the radio or musicals. We'd go to the local cinema or West End theatre and see the latest film or play being shown, like Oliver, or the Sound of Music. Somebody would buy the LP, and that would be that. I'd play the songs over and over until I knew all the words. People talk about the first record that they ever bought, but I really can't remember, because music was very much a part of being in the children's home. Trips out for the day or holidays, always involved singing songs, Oh, you'll never to get heaven or Michael rowed his boat ashore. I even pestered my local priest for hymns at the morning service like they had at the nearby Methodist church. We had a music room with a piano, a record player, and any other instrument that staff happened to play. Plus, I had piano and ballet lessons as well as being in the operatic society at school. A poster from the 70s, still on my wall. Soon after Hang on to Yourself, hit the charts, I became friends with a couple of boys in East Finchley, one of whom would go on to become writer. J.J. Donnelly, of Layer Cake, fame, and my first claim to fame. Though I just knew him as John, and that we were both crazy about Bowie. While Ray Davies was releasing Muswell Hillbillies in 1971, I was thirteen, and buying the Hunky Dory LP at Les Aldrich's record shop in Fortis Green Road. In 72, Changes, was released. The lyrics were perfect for young people who were going through turmoil and the changes in society. There was a huge shift from uniformity to an explosion of colour, music, clothes, and art. Meanwhile in real life, my mother had killed herself and I officially became an orphan. I was going to youth clubs, discos and learning to dance. In the rest of the UK, there were strikes and protests. Everyone was frightened to travel on public transport because the IRA were bombing us. The government raised the school leaving age to 16 which upset many of us. We even bunked off school and went into central London to protest. In 1973, Life on Mars? was released as a single and like Bowie, I was experimenting with drugs and drink. A year to the day my mother died, I ended up in hospital with alcohol poisoning. At 15, the same age as Bowie's daughter, Alexandria Zahra Jones, is now, came Sorrow. I've thought a lot about David's family in the last 24 hours and their request for privacy at this very sad time. I hope they get their privacy. I also hope that eventually, they will at least get some relief, knowing over the last fifty years, he was such an amazing influence on millions of people all over the world. Not just that he was an influence, but that he helped weirdos, freaks and outsiders everywhere cope with their trauma, sadness and misfittingness. I don't usually get upset when somebody famous dies so I was quite shocked at my reaction to the news of David Bowie's death. I quite literally sobbed. I can only guess that his voice; his words; his artistry; and his music became part of me, part of my growing up and when I heard the news, it was as if I had lost a part of myself. 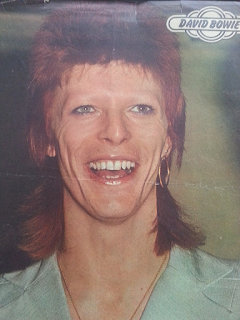 In 1974, Rebel Rebel, was released. In effect it was Bowie's farewell to the glam rock movement that he had helped pioneer. Age sixteen, holding hands with my first boyfriend, I said my farewells to the children's home. I knew that even though I would never go back there, my relationship with David Bowie, would last a lifetime. *Paris Lees is a British journalist, presenter and transgender rights activist. Winterson’s cover version of The Winter’s Tale is one of the Hogarth Shakespeare series, celebrating 400 years since the Baird was born. This fast-paced story is about a foundling, a stolen child, an abandoned child, and fits in perfectly with my obsession and PhD research about orphans and care leavers in fiction. I'd put off reading this text as I remembered the starving children from my childhood and was too frightened to read about the horrors of the Nigeria-Biafra war. Yet, once I'd started, and from the first page, I found myself transported and immersed in Adichie's vivid landscape and characters. This is a book that I shall read again in a few years. It is a clever book and still has some way to go in being recognised as the future classic it will become. This was one of the first books I read last year, and that I had been anticipating for some time. It was worth the wait. After a childhood spent in care at Burbank Children’s Home, Paolo Hewitt embarks upon a personal journey as an adult to discover whatever happened to his close childhood friends. The novel describes a creepy tale of loneliness and teenage obsession. Poignant and darkly humourous, it was at times overwhelming - in a good way. Tasha was a guest at last year's Finchley Literary Festival*, little did we know at the time that not only would the book be shortlisted for the Not the Booker Prize, but also the Costa Book Award. Greenacre Writers was selected as one of 12 book clubs who were shadowing the Baileys Women's Prize for Fiction 2015. We were given The Paying Guests by Sarah Waters and some very nice Baileys! For the first half of this book I couldn't read past 6.00pm because I was absolutely petrified. The story seemed so real and I don't usually read books about zombies. When Mike appeared at the festival, some of us dressed up as zombies. He got us reading parts for the soon to be released film. I was Melanie, a young 'hungry' zombie, though in reality I was probably fifty years too old! Still, it was such fun and I can't wait to see the film. On one of my recent trips to Waterstones, in North Finchley, my local bookstore, I got chatting with one of the lovely bookish assistants. We were discussing favourite books and he told me one of his was A Month in the Country. 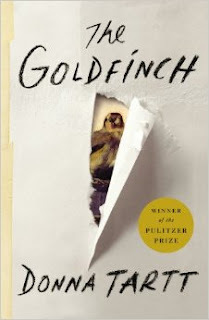 I decided to nominate it as the Greenacre Writers September Bookclub. It is the fifth novel by J. L. Carr, first published in 1980 and nominated for the Booker Prize. The book won the Guardian Fiction Prize in 1980. Antonia is one of those writers who light up a room. She attended the Finchley Lit Fest and I found myself truly inspired and moved by some of her writerly observations. The Ship is her debut novel but not her first. She has been on her writing journey for some years. In some ways, The Ship is scarier than zombies because the financial apocalypse could happen at any moment. Another FLF favourite guest. 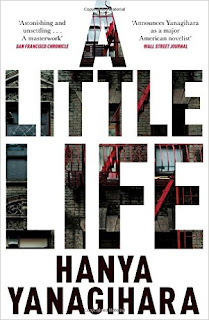 When I read this YA book, I was so impressed by the use of language I began raving about it immediately. It's both funny and heartbreakingly moving. It takes as its subject, the dangerous ease with which young boys can get involved with gangs. At its heart is family, or the lack of it and the dangers this can bring. Liccle Bit has recently been nominated for the 2016 CILIP Carnegie Medal. All that is left for me to do now, is wish you a very healthy, creative, and booky New Year. *We were thrilled that Finchley Literary Festival was awarded 'Best event of the in Barnet' by the Barnet Eye Community awards. For all the other categories and winners see The Barnet Eye Community Awards.